Well Hello! It’s been a while and since I’ve posted last, and as you may have heard, there has been some big news in our lives. We have a baby on the way! Thank you all so much for the sweet comments on our Instagram post announcing this! I read each and every one and appreciate you all so much. It took me a while to get back to the blog because I needed to decide if and how I was going to incorporate my pregnancy into my blogging life and what that would look like. I’m still figuring this out and I’m sure it will be a bit of a work in progress but each time I write about anything #momlife I get a slew of e-mails, questions and comments so I plan on incorporating my pregnancy and mom stuff into my blog posts moving forward. 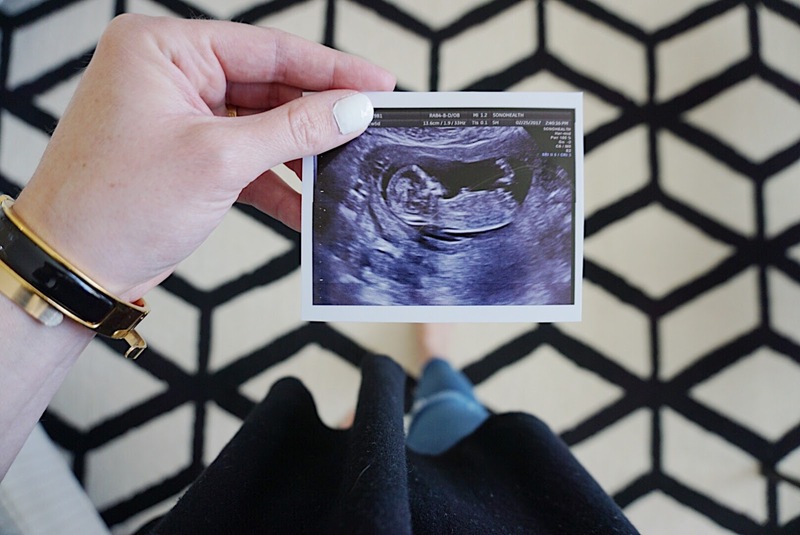 Our first trimester was really tough so I also wanted to get to a point where I felt comfortable sharing that with you which was why this post took so darn long. So here it goes…Austin and I were thrilled to find out we were pregnant around the Holidays. It made them all the more special and sharing that news with our family during such a festive time of year was pretty magical. I felt amazing at the time and we were riding high on the excitement of our little secret. Fast forward several difficult weeks and I wound up in the ER. I was diagnosed with a subchorionic hemorrhage and was discharged with a threatened miscarriage. A subchorionic hemorrhage is a blood clot where the placenta attaches to the uterus. It happens in about 1-3% of pregnancies and can double your risk of miscarriage. This was heartbreaking to us for so many reasons. I was put on bed rest for a week and then was on modified bed rest/limited activity for the next 4 weeks. All I can say is that those were really difficult weeks. Some of the worst. And I was terribly ill with morning all day sickness on top of it. It took me a long time to even allow myself to be happy about the pregnancy because I had no idea what the outcome would be for us and didn’t want to set myself up for what could be the largest disappointment of our lives. Although the hemorrhage is still there, my doctor is very happy with the prognosis now as my bleeding stopped around 10 weeks. We feel lucky and blessed and understand that many do not get the outcome we were given. My heart goes out to them. There were a lot of lessons learned during that 1st trimester: #1, if you’re bleeding, go to your doctor or the ER. Don’t wait. And #2, you have no choice but to lean on others, so just embrace it. It was difficult for me to accept help (and always has been) but in this situation, I literally had no other choice. I also learned that at times where people I care about are going through a difficult time, I tend to back off so as not to interfere or bother them…but seeing as how people showed up for us in the most heart warming ways, I will never not do something again out of fear of pestering someone. Nobody ever asked us the annoying question, “what can I do?” (to which I always would respond, NOTHING)…they just showed up and did stuff. So here are some people I need to thank for the sweet gestures they did. They know who they are and I definitely plan on paying it forward when the time comes. 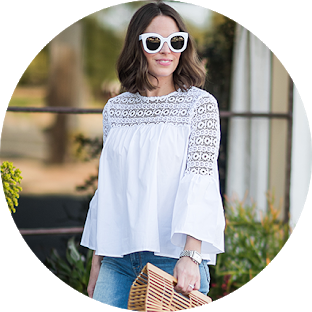 Next Post The CUTEST Cover Up and SHOPBOP SALE!